I love Dr. T. and his staff! Highly recommended whether you want something as small as a medical grade facial or a mommy makeover! Top-notch! Knowledgable, thorugh and skilled doc! If you are looking for a good experience with Botox, this is the place to go. I had a procedure with Dr Thesiger and he is the best! I am so happy. Thank you, Dr T! You are an incredibly kind and highly ethical individual. I wish you much success. I had a minor Botox procedure with Dr. Thesiger. The results are excellent – subtle but very effective! The doctor spent time answering my many questions without being pushy about treatment options. The practice is in a convenient location with excellent customer service. I got along great with Dr. Thesiger from the first time we met. I admired his work method and his experience. I had been searching for a doctor for 7 years but never felt comfortable enough to have my surgery until I met Dr. Thesiger. Dr. Thesiger and his staff were always very friendly and caring. I love my results and highly recommend Dr. Thesiger to anyone who is looking for plastic surgery. I love Dr. Thesiger! I felt very comfortable from the beginning to the end of the whole procedure. When I first visited him, I knew he was the doctor for me. His confidence level took away any doubts I had about my breast augmentation surgery, and the results are fantastic. I am now 8 months after the surgery and the surgery truly changed my life. My friends, and even random strangers, are asking me for his contact information because they like what they see. One of my friends had her breast augmentation done after she saw my results and she is very pleased with her results as well. Thank you, Dr. Thesiger for taking such a good care of me and I wish you all the best! Dr. Thesiger, I really wanted to take time out to say thank you to both you and your staff. Deciding to have my tummy tuck procedure is an investment in me because I am worth it. I appreciate the fact that you educated me first, and wanted me to be in the best shape possible; physically and emotionally and with my weight and BMI before you would consider me for the surgery. So far I have followed your instructions and the instruction of your staff, in regards to my surgery, my eating plan, and my lymphatic massages, my results are phenomenal and I am healing quickly, it’s been only 2 months. Prior to my surgery I had three c – section births and a hysterectomy so I already had a scar from hip to hip that was thick and pronounced. You removed the old scar and now I have a flat line that is smooth and fading quickly. Following your instructions especially getting the right amount of rest and time off work (including house work) has been paramount in my exceptional recovery! You are now a part of my everyday life for the rest of my life, your work is on display 24/7! I am proudly celebrating my one year tummy tuck anniversary. Dr. Thesiger completely changed my life; he is a godsend. My body looks fantastic. He took his time to explain the procedure, step by step. I had no fear because I was very confident of his expertise. His staff was incredible; very professional and was there to answer all of my questions. I absolutely love my results and tell all of my friends about him. I highly recommend him to anyone who wants to have a tummy tuck. He is the best. After much research, Dr. Thesiger was highly recommended to me and I would in turn highly recommend him for any of the services that he provides. Not only is HE top notch, but he has a top notch staff as well. From Jheinifer’s (Office Manager) smiling face to Bell’s (Massage Therapist) magic touch. They treat you with the professionalism of a client but the warmth of a family member. It was always a pleasure to see them on my return visits. As far as the surgery is concerned, everything Dr. Thesiger told me would happen happened just the way he said. He was very honest in all of his recommendations and I appreciate that. The entire process from top to bottom was nothing less than exceptional! Dr. Thesiger is excellent. My abdominoplasty procedure went exactly as it was described and my recovery, superb! I am very pleased with my results and would recommend Dr. Thesiger to anyone. 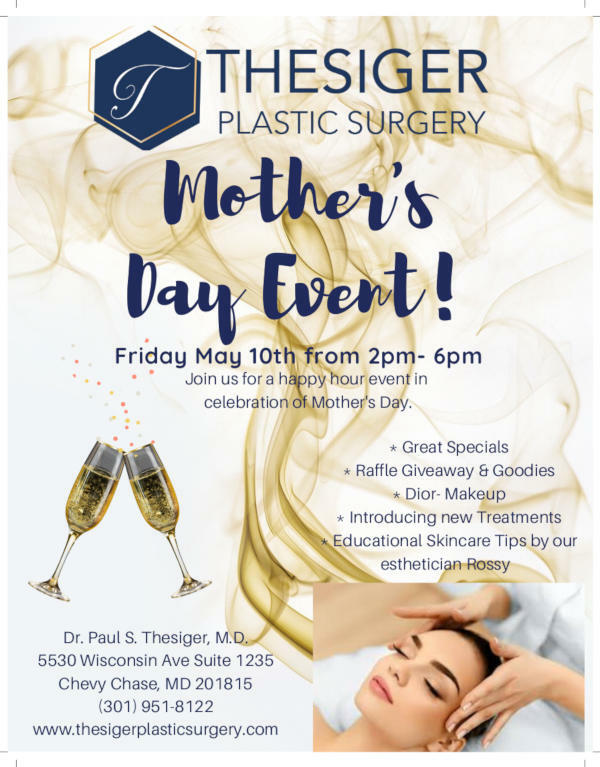 In addition to having such a great experience with my surgery, Dr. Thesiger also has an added benefit offered in office to his patients. Lymphatic drainage massage. Belle performs this service and she is great as well. She worked on areas where my surgery was performed and if there were any places that were not flat and smooth, she fixed them. Not only did she fix these areas and help to speed up my healing process, but she also helped me to clean up my diet so that my body would reflect the best results possible. I’m still pretty early on in the healing process, but so far, so good. With Dr. Thesiger’s skilled hands combined with learning to eat properly, one can’t go wrong. Dr. Thesiger left a family party to see me in an Emergency room. He took his time and carefully debrided my wound. On my follow-up visit I was highly impressed by his bedside manner and was treated as if I were a V.I.P.